Pie and a Pint: Come and enjoy a delicious Home-made Short-Crust Pastry Pie (with Pastry all around!!) served with a Choice of Potatoes, Vegetables and our Rich Red Wine Gravy AND get a complimentary glass of Selected Wine or Pint of Beer. 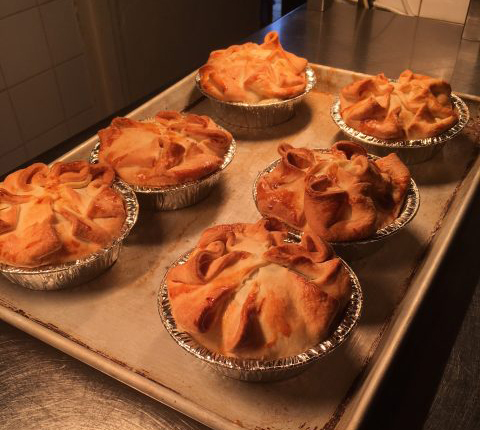 Different pies each week – recent ones have included: Chicken & Ham, Slow-Cooked Beef & Ale; Turkey & Leek and Steak & Mushroom. To reserve your table & pie please contact us or give us a call on 01295 722142.